Bankruptcy is the last resort when you cannot afford to pay back your debts, and is considered a way of making a new start when all other possibilities have been exhausted. You can voluntarily declare yourself bankrupt, or can be made bankrupt by a creditor, if you cannot afford to pay back your debts. A bankruptcy petition is made to the High Court or to a County Court, and the court will then decide what to do. They could either dismiss the proceedings or make a bankruptcy order, and as part of the process you may be required to explain to the court why you are in so much debt. Once the bankruptcy order has been made, you are appointed an official receiver, whose job it is to investigate your financial affairs for the periods before and during your bankruptcy. They will ask you for information on your debts and creditors as well as any assets that you own. All of your assets will then be divided out amongst your creditors fairly. Essentially, you will not have any control over any of your assets, which will include your home if you own one. You will also have to declare any funds that you have in any accounts which are more than you will require for living expenses, as these will also be shared out. You will be able to keep your basic items as long as they do not cost more than a reasonable replacement. For example, if you own a very expensive sofa then this will be sold and replaced with a cheaper one. If you are earning an income during your period of bankruptcy then you may be required to pay a part of it if it is more than you need to live on. On top of that, if you come into any assets such as inheritance during your period of bankruptcy then you will not have control over them. 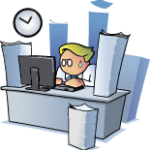 Once the bankruptcy order has been made, you will remain bankrupt for a certain period. It is possible to be discharged from bankruptcy after one year, but it could last up to three years. If your behaviour is considered irresponsible when you are declared bankrupt, this could lead to longer-lasting restrictions up to 15 years. Going bankrupt is also a public order, meaning you will not be entitled to the privacy that comes with other schemes such as an IVA. 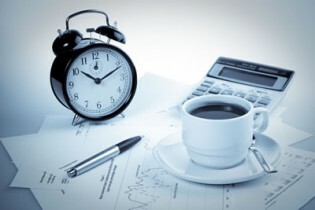 During your period of bankruptcy, there are certain conditions that you have to follow. These include the requirement that you declare your status whenever you want to get more than £250 credit, that you do not use any bank accounts and that you refrain from conducting any business under a different name, amongst others. You must also refrain from making any direct payments to creditors, but all of these restrictions will stop as soon as your period of bankruptcy has ended. Details of your bankruptcy will also be held by credit reference agencies for a period of time after your bankruptcy has ended. This could be anything up to six years, but after this time you will still be required to declare your financial history. It therefore has long-lasting repercussions, which is why you should always consider it very carefully before making any decisions. When it comes to filing for bankruptcy as a way to control your debt problems, there are more cons than pros in most cases. However, for some people it represents the best way of becoming debt free, and it should therefore be considered carefully. Weighing up the advantages and disadvantages can help you to decide whether it is the right decision for you. Bankruptcy generally does not last as long as other debt management schemes. Whereas the IVA lasts for five years, and consolidation loans can last for many more years, the period of bankruptcy is limited to between one and three years in most cases, after which you be able to make a fresh start. However, it does have certain long-term implications, especially on your credit score and the stigma attached to it. Bankruptcy offers the peace of mind that comes from a fresh start. Being in considerable debt can be stressful and it can often seem like it dominates your life, so being able to become debt free in a relatively short period of time can sometimes be a blessing that far outweighs the negative aspects of being declared bankrupt. One of the major disadvantages of being declared bankrupt is that you lose control of your assets, including your home. You will also not have control of any assets you come into during your period of bankruptcy, including inheritance. 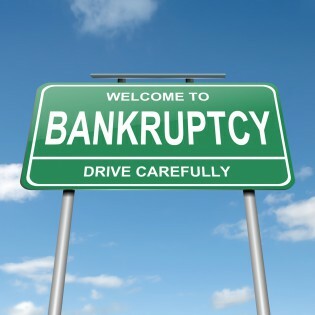 The stigma attached to bankruptcy is often one of the main reasons that people do not want to consider it as an option. The long-term implications can be quite difficult to deal with, and the thought of being publicly examined in court can put a lot of people off. Being bankrupt prevents you from holding certain posts, meaning you will not be able to work as a lawyer, an accountant, an MP, a member of a local authority and a justice of the peace amongst others during your period of bankruptcy. If you have any ambitions to enter into such a profession, or are already in such a role, then the implications of being declared bankrupt can be a lot more severe. Once declared bankrupt you will be unable to become involved in the formation or promotion of a limited company without first getting permission from the court. You will have all of your bank accounts closed and will not be able to open any during your period of bankruptcy, which can be very frustrating and feel like you do not have any control. You will face the prospect of having your position stated in the local press. This publicity and the need to declare your position for certain transactions, including the need to declare your status as a bankrupt if you want to acquire credit of any value greater than £250, can be a burden for many people. Some people believe that bankruptcy offers an easy way to get out of paying their debts, and in many ways it does. If you are declared bankrupt then a large proportion of your debts will be wiped out, which differs from the IVA where you will still be required to pay back a large amount of your debt. However, bankruptcy should always be considered a last resort. The long-term implications of going bankrupt will stay with you for many years, and there is also a social stigma attached to it. One thing that puts people off going down the bankruptcy route is the need to declare themselves bankrupt for certain transactions in the future, which can often be a cause of embarrassment. But perhaps the worst aspect of bankruptcy is the loss of control it gives you over your assets. This is especially true for homeowners, who will not have any control over their property once they have been declared bankrupt. This can create feelings of frustration and can be very hard to accept. As well as losing control over your assets, you may also feel that bankruptcy affects your privacy. Bankruptcy is not a private arrangement, and on top of other people knowing your financial affairs you will have to provide details to the official receiver of all your financial history, which may feel invasive. Other options, such as an IVA, may be a better course of action for you if you are considering going bankrupt. This will provide you with a greater degree of control over your assets, as well as granting you more privacy and the ability to write off a large amount of debt. Essentially, you should think very carefully about all the other possibilities before filing for bankruptcy, and you should think long and hard about what it will mean for your future. Having said that, for some people bankruptcy does provide the best option. 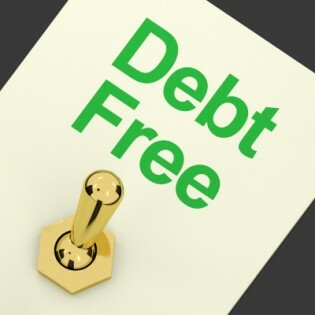 If you have a large amount of debt that you owe to a number of different creditors, and you simply can’t afford to pay any of it back, then the ability to free yourself from debt and start over again can provide relief for many people. When it gets to the stage where you are suffering emotionally because of the large sums of debt that you owe, and you are simply unable to make enough in monthly payments, then it could be time to consider filing for bankruptcy. There are no exact specifications for going bankrupt, and you do not have to owe money to a certain amount of creditors or have a specific amount of debt in order to qualify. Every case is unique, and your individual case will be scrutinised closely to see if you should be declared bankrupt. What you have to remember is that you should always seek professional advice from a debt agency or charity before making the decision, as they will be able to examine your personal situation and inform you whether it is the best option for you.